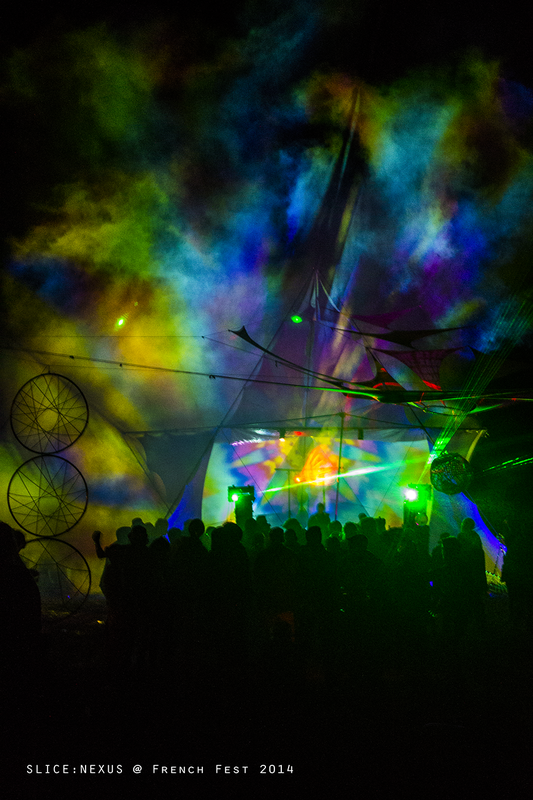 Here is the new music video for Stepping Inward's "Quechua" put together with a bit of VJing from Ear Mind Eye and Tøn yesterday using magic. Hope you enjoy and check out the rest of the album! Hello everybody! We have all been very busy working on new stuff here at Slice with a whole bunch of new releases scheduled for the near future. Here is a glimpse of some of the new smooth Deep Hypnotic Prog from "Jimmy-Woods" a new project of Jame's (Shifty Gypsies/Stepping Inwards). Stepping Inwards was a collaboration in the summertime of 2014 between James Woodcock (Jimmi-Woods) and Luke Horsfall (Dr Squiggle) that has now ended with the two artists focusing on their solo acts. Even though now defunct , the projects sheer quality demands its release. Stepping Inwards is a journey into the realm of psychedelic techno. From the humble confines of the bedroom studio Luke and James chanted an incantation of the hypnotic, anodised with a layer of brooding intensity. As your hips begin to shake, the music proceeds to cross the blood brain barrier. Each track becomes a neuro-tropical landscape, comprised of deep tech rhythms accompanied by powerful peaks and enchantingly elongated sounds. As the music progresses from track to track this album is bound to stimulate your cerebellum and make you crave the call of the dancefloor. Download the album here, it's pay what you want! 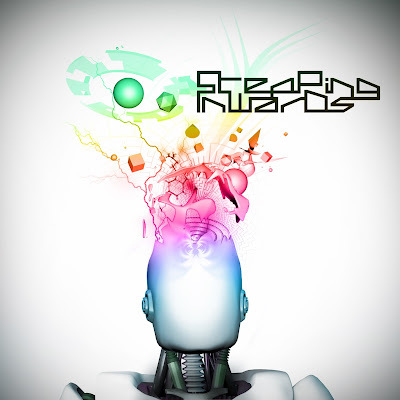 Stepping Inward’s sound captures elements of Techno, Psy and Prog, with their musical inspiration being drawn from artists such as Monolake, Son Kite, Kliment, Claude Von Stroke, Tetrameth, and Sensient, just to name a few. 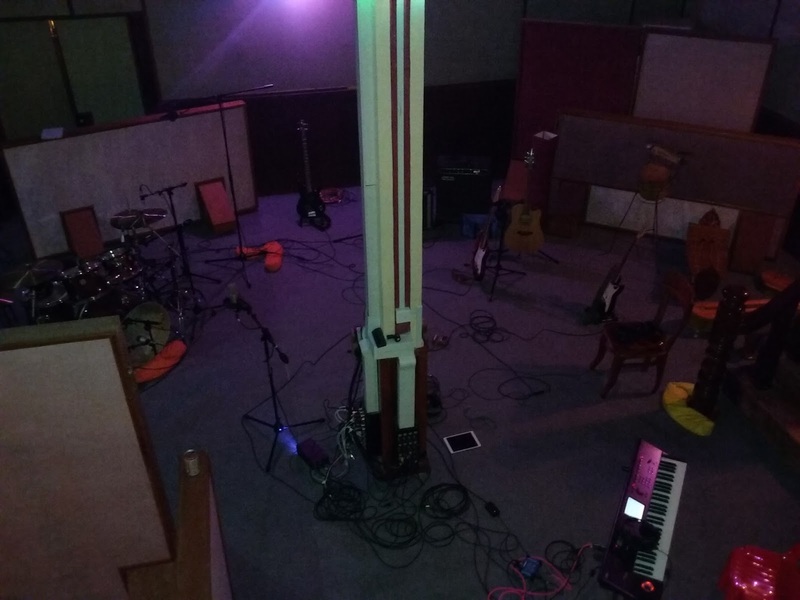 Whilst in Siem Reap, Cambodia we had the opportunity to visit one of the best recording studios in South East Asia - "60 Road Studios" and got to sit in on tracking for an original Khmer rock band. An experience we won't forget anytime soon! The studio is top of the line, with a great post production suit, sound acoustics, chill out area, workshop, you name it. If you are thinking of recording or getting music mixed overseas this is the place to go. Cheers Steve Bloxham, Ian & Clive! After successfully completing many of the mission objectives at the recent winter gathering, we would like to invite all you highly evolved organisms to celebrate once more together, to rekindle our associations and friendships and to make new and meaningful connections. The playground this time around will be the infamous 'Rubix' warehouse venue located in the gritty, urban quarters of Brunswick. The musical entertainment promises to be one that shouldn't be missed. We feel extremely privileged to welcome to the line-up two masterful producers/performers from the global scene who have confirmed to headline the massive local support program. Matthew Swain aka EVIL OIL MAN (Zenon, U.K.) and Diego Simonetti aka KNOBS (Nachtstrom, ITA) are thrilled to showcase their latest productions and skills in order to take all of us up a notch in our collective journey of heightening awareness and evolving consciousness. Doors will open Saturday evening from 1700 hours onwards and closing of the event will be at 0200 hours Sunday morning. Until 2100 hours we will treat you to a $10 discounted admission plus special food and beverage deals courtesy of Rubix management which make the prospect of not preparing a meal at home a very affordable and convenient option. From 2100 onwards the admission will be a fair $20. Our sincere advise would be to get there early, claim the deals and secure yourself entry before the venue reaches capacity. Transmuted Volume #1 is the first in Slice Records' remix series, and focuses on the work of Fate Æffect and his uptempo alter ego, Ear Mind Eye. Featuring remixes from the crème of Australia's underground electronic scene including Tempest Recordings artists Stickleback, Arcane Trickster & LazyboyProactive, Solid Light and Mr Bronson from Bad Party Records, Noistruct & Notex from 8-Bit Records, Dada Davros, alongside Slice's very own Broken Window. Original tracks remixed on this compilation are from Fate Æffect's album "Replicated Dreams" out on Tempest Recordings, the soon to be released album "Pyrrhic", and from Fate Æffect's side project "Ear Mind Eye". This is the first in a series of remix compilations to be featured on Slice Records. 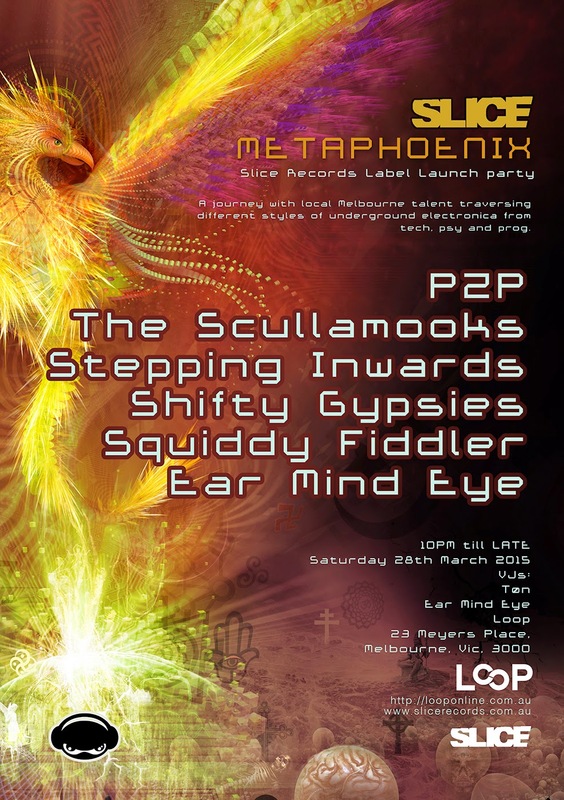 Metaphoenix’s launch party will be at Loop, Art Space and Bar located at 23 Meyers Place on March 28th 2015. It will be a great night showcasing some of Melbourne’s finest producers from the underground electronic dance scene accompanied by mind bending visuals in the innovative space that is Loop. It is going to be an audio visual delight sure to excite all your senses! “Metaphoenix” at Loop will be traversing different styles of local underground electronica from tech, prog, psy, glitch and minimal beats sure to get your body moving and will bolster why Melbourne has such a great music scene and talent! Word up your friends and see you there! Metaphoenix artwork by Clint Grierson - Point Zero Productions. We at Slice Records are celebrating the release of our 2nd Compilation “Metaphoenix” at Loop. Showcasing some of Melbourne’s finest producers from the underground electronic dance scene accompanied by mind bending visuals! “Metaphoenix” will be traversing different styles of local underground electronica from tech, prog, psy, glitch and minimal beats sure to get your body moving and will bolster why Melbourne has such a great music scene and talent! Beat Magazine's review of The ScullaMooks﻿ "The New Mythology"
Check out Beat Magazine's review of The ScullaMooks﻿ new album out on Slice Records! 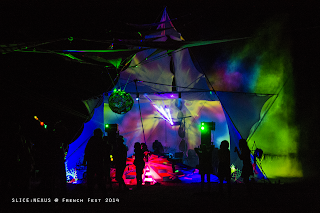 "...sounds like it’s been syphoned through a black hole and magically fused into the little plastic discs that bear the title, The New Mythology"
We had an amazing time at French Fest, French Island Music and Arts Festival over New Years! Check out some of the pics here of the Nexus stage.